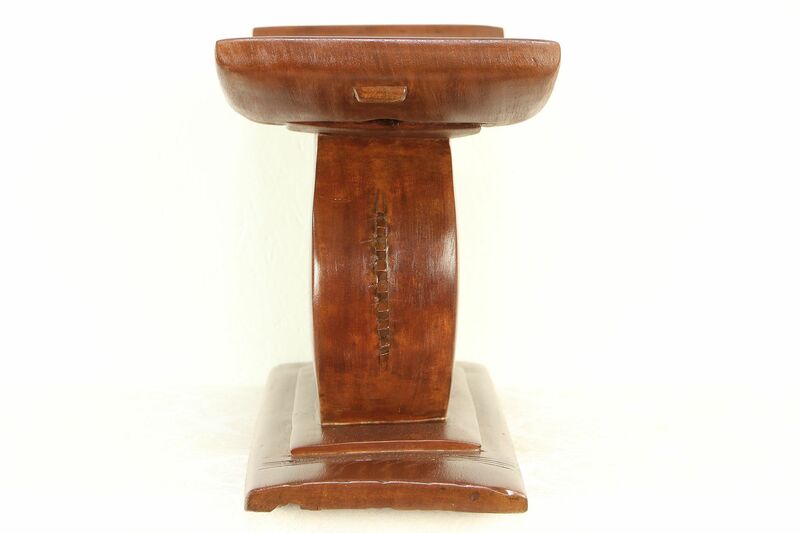 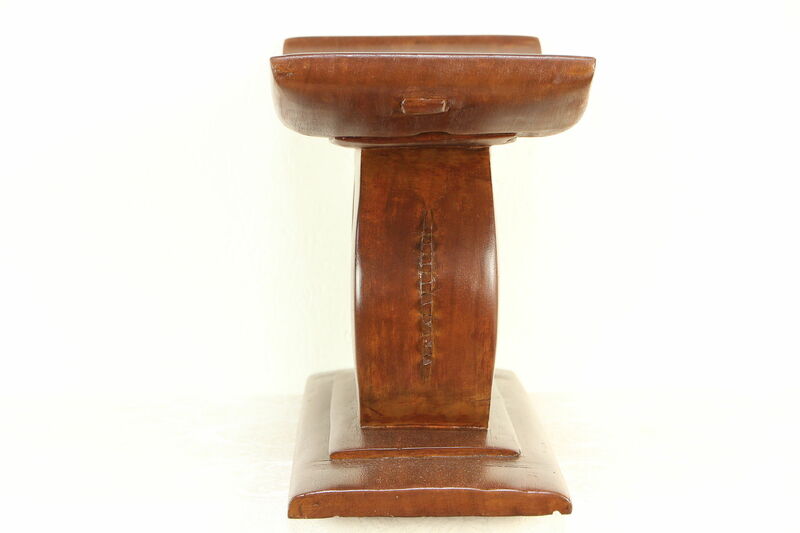 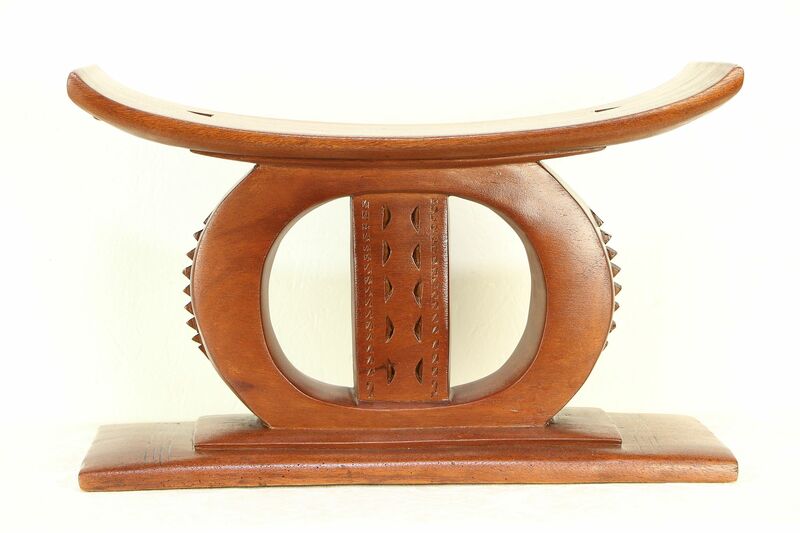 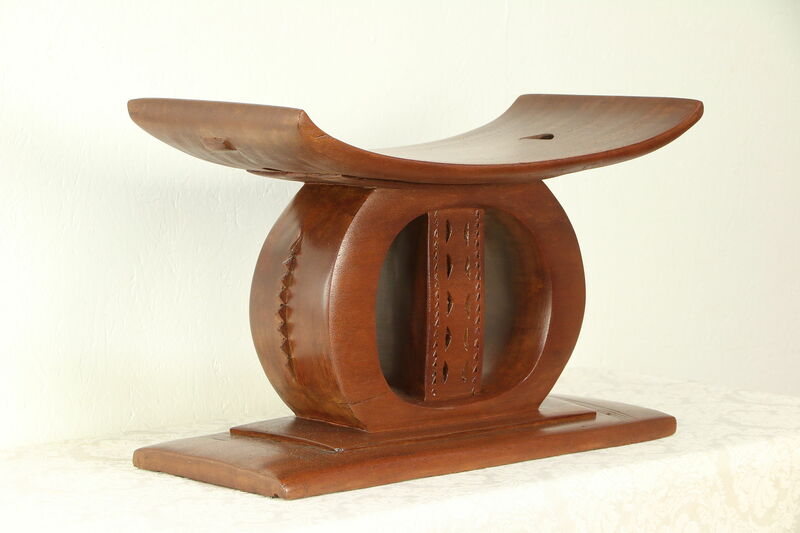 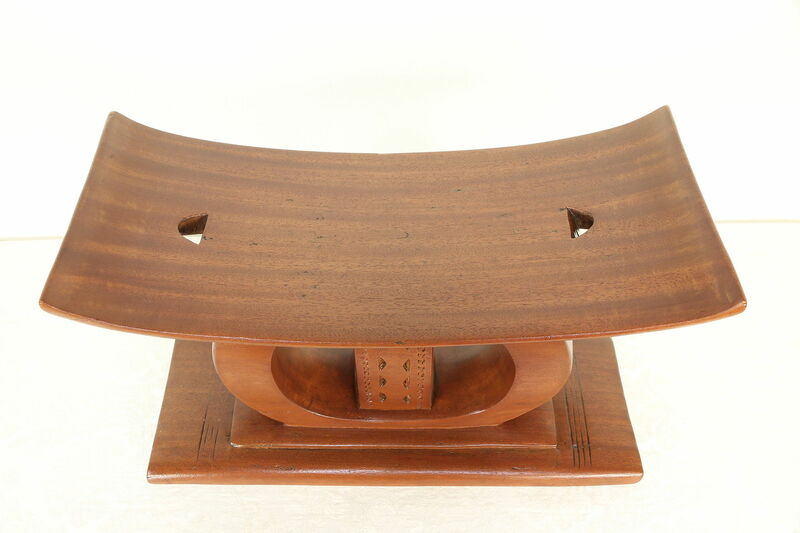 Hand carved of solid mahogany by the Ashanti people of Ghana, this rugged traditional stool was hand hewn around 60 years ago. 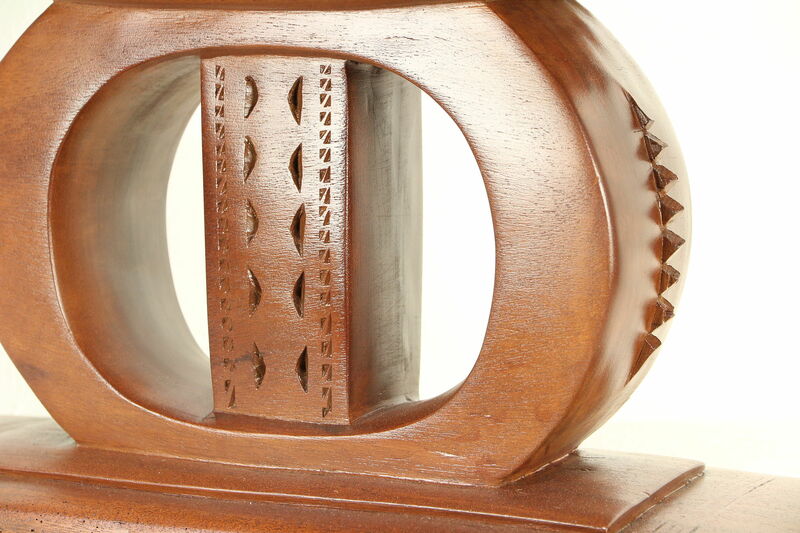 The restored finish is in excellent condition on this vintage African furniture. 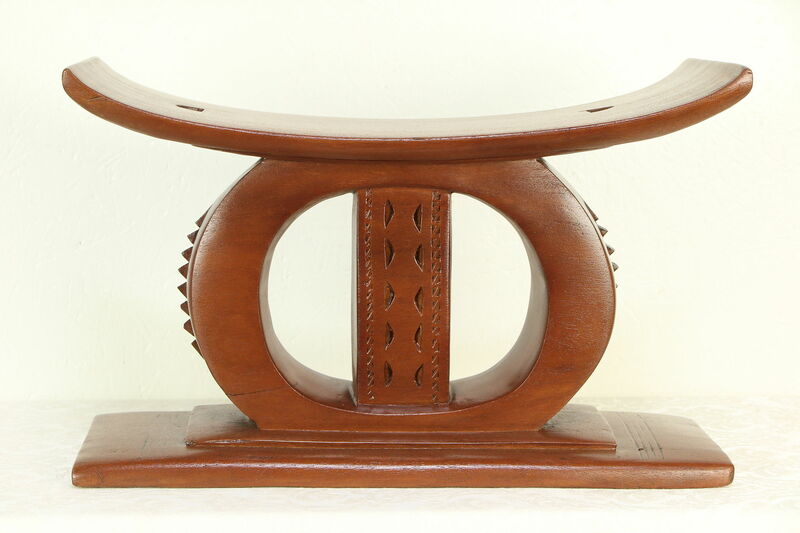 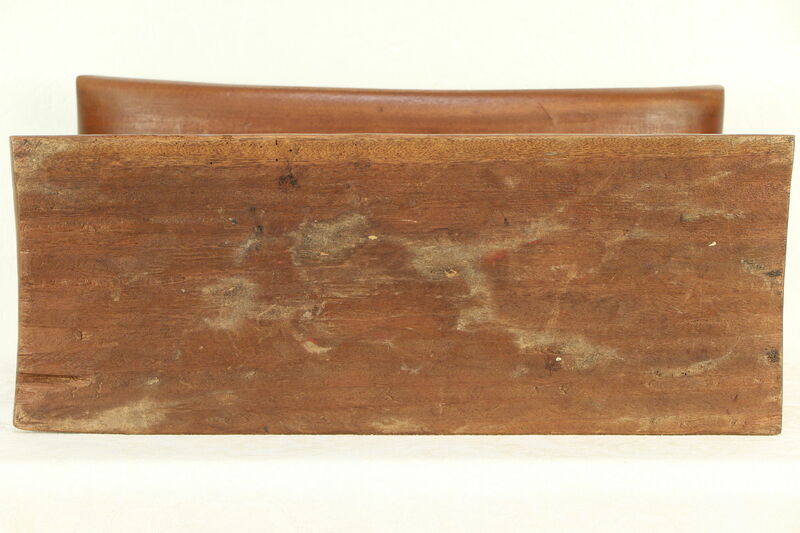 Dimensions are 20 1/2" wide, 9" deep and 13" tall.